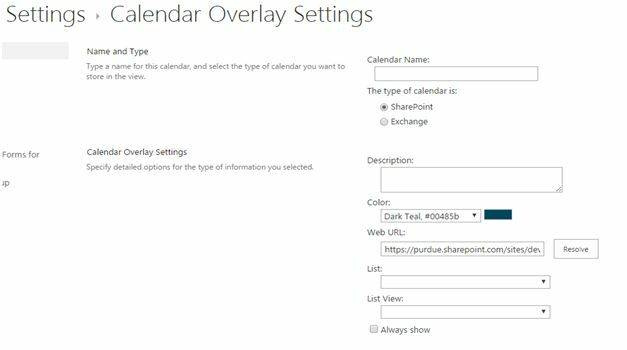 In this article we are going to see how to Map Multiple Calendars to one view in SharePoint 2013 & Office 365. We developers often get a requirement as to merge two or more calendars. Now, we will see how to do it. 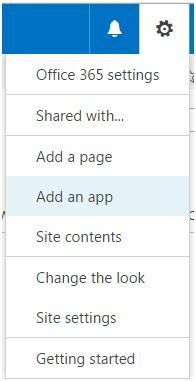 Go to the gear icon on the right side of your site and click on ‘Add an app’. Find calendar and click on it. Add a Calendar and name it Calendar1. Similarly, add a second calendar and name it Calendar 2. 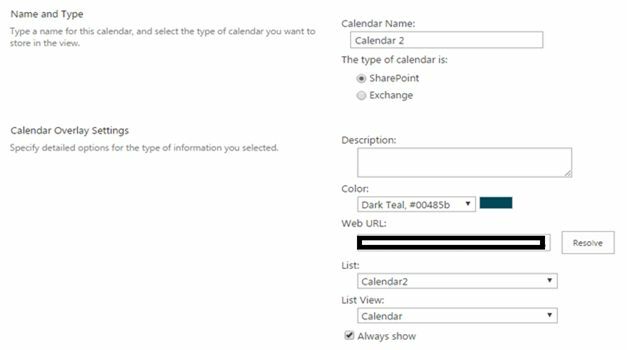 You will find your calendar view on the left side of the SharePoint site as per the screen below. 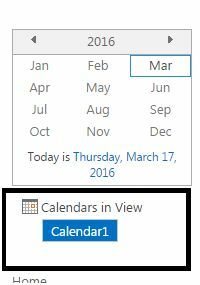 Currently it shows one view so click on the option ‘Calendars in View’ to add new calendars. You will come to the following Calendar Overlay Settings. You will come up to the page where you need to give details about the other calendar you want to add. Calendar Name: Give a name to your calendar. 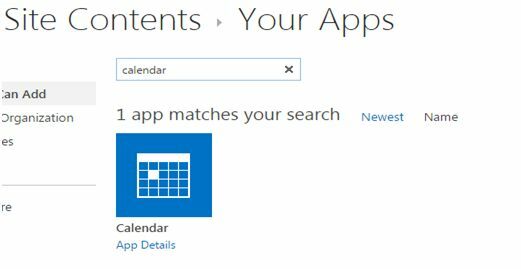 Type of Calendar: Choose whether it is a SharePoint or an Exchange Calendar. Description: Provide a description to your new calendar if you have any. Color: Choose a color which will display your events separated from the other calendar. Web URL: Here this link will be auto populated if you want to select a calendar from the same web, if not provide the url of the web and click on Resolve. List: Once you resolve the web, it will populate all the calendars here available on the web. List View: Once you select the calendar, it will populate all the views available on the selected calendar. Always show: Choose the option, if you always want to display the other calendar. Here you can see all he values, click on Okay. Once you click on Okay, you will see the screen below with the other calendars you have added on the view. You will both the calendars mapped to Calendar 1 and the events on Calendar 1 will display in blue color whereas it will display in green for the events created in the Calendar 2. Hence here we saw how to map or merge multiple calendars to a single calendar view. Keep reading and keep learning.